The year saw Donald Trump settling in at the White House, promising to withdraw America from foreign entanglements and ending up as deeply involved in Middle-Eastern affairs, China and Pacific affairs, Russian affairs and global networks as ever, as well as asserting American dominance as an energy power. The year saw China, which used to talk about ‘quietly rising’, now talking about becoming a leading power in Asia Pacific and Central, in Africa, even in Europe, and in world affairs generally. The year saw the digital revolution, which was going to make the world flat and bring power to the people, in fact put still more overwhelming power in the hands of half a dozen giant global monopolies. The year saw the European Union, which used to see more Europe as the answer to everything, in fact see Germany in political limbo, Poland and Hungary rebelling against Brussels, more Euro-wobbles, Spain facing revolt, Austria going right wing – and of course its second biggest member – the UK – pulling out – although slowly. It saw the British PM, Theresa May, call a quick Election to secure a bigger ‘Brexit’ majority, and end up with no majority at all. It saw more green energy measures and investment but more CO2 in the atmosphere (according to the UN) than for the last 300,000 years. The year saw oil and gas world surpluses grow but end with an oil price mini-spike with Middle-East political woes and Saudi uncertainties. Lesson from all this – and much more? The unexpected usually happens. Predictions go awry. Politics upsets economics. Markets upset politics. The need becomes more necessary than ever not only to keep close to events, global and local, at all times and everywhere, but to understand what drives them and what lies beneath the surface. 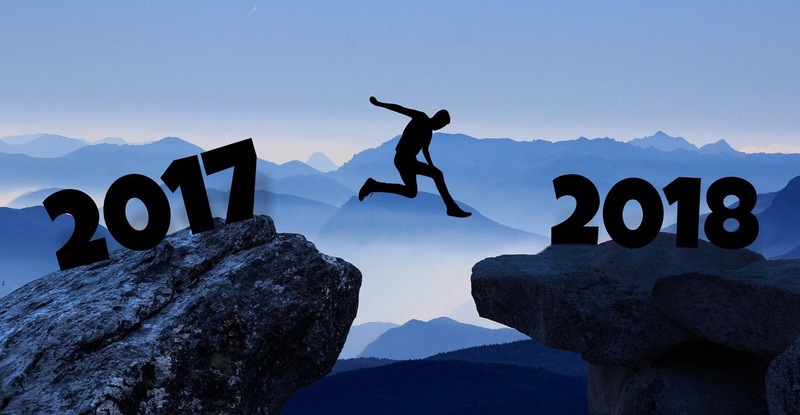 All good wishes to our clients and followers and to Crystol Energy in 2018 as it skilfully and expertly shows the way into this complex and perplexing future.